Hosea may be the strangest story of "one who speaks for God." Israel's desperate situation is encapsulated for the nation in the marriage of Hosea and Gomer. Hosea is told to go and buy his wife back from the state of prostitution she has entered. This becomes a parable of Israel's faithless relationship with God. Yet God is willing to love her back to a position of being faithful. God is not silent! He still speaks to us today. This study from the Book of Hosea looks at God's passionate love for his people. We know very little about Joel as a person, but he was a prophet to the Southern Kingdom in the days of King Uzziah—days of unparalleled prosperity for Israel and Judah. The Book of Joel also speaks of a natural disaster that would foreshadow the ultimate Day of the Lord. In his commentary The Minor Prophets, James Montgomery Boice writes, "The Book of Amos is one of the most readable, relevant, and moving portions of the Word of God. But in much of church history (until very recent times) little or no attention has been paid to it. Why? It is because the book speaks powerfully against social injustices and religious formalism, and many who would otherwise read the book have been implicated in such sins and are condemned by it." This study explores the issues of social justice, spiritual poverty, and hypocrisy addressed in the Book of Amos. In the introduction to this study series on the Minor Prophets we asked, "When did you last read Obadiah?" Sometimes we think, What message could we possibly find for today in a book like Obadiah? The Book of Obadiah has only 21 verses, and the theme of the book is the denunciation of Edom. In this study, we'll see why that matters to us. This is a story about the mercy of God to a people who did not deserve his mercy. It's about someone's struggle to understand how God could care for and love people who did not know him. On a human level, we may want to limit God's grace to those whom we think really deserve it. But God's love is wider than that. It is universal, and even includes people we may not like. The book also teaches us about God's sovereignty and our obedience. When we try to go in the opposite direction from God's way, then God may go to extraordinary lengths to get our attention. Micah 5:2 is perhaps one of the few verses we know from the Book of Micah. It appears in the prophecies of the Christmas story as told by Matthew (Matt. 2:6). However, there is a lot more to Micah than just this one verse. This study will look at Micah's message to Israel about God's judgment, hope, and repentance. What hurts the heart of God? Judah and its capitol, Jerusalem, were now threatened by Assyria, who had a reputation for terrible cruelty in war. About 700 B.C., Nineveh had been made the capitol city in the Assyrian empire. While Jonah had pronounced its destruction, the people had repented and the judgment on the city was suspended. However, eventually Nineveh returned to its wicked ways and brutality. The focal point of the message of Nahum is God's judgment on Nineveh. "If you don't have any doubts, you are either kidding yourself or asleep. Doubts are the ants in the pants of faith. They keep it awake and moving," wrote author and pastor Frederick Buechner. If you have ever thought or asked, "Why does God do this?" or, "That is not fair," then you must read the Book of Habakkuk. This prophet goes to God with his doubts and faith struggles. For a book that was written in Judah more than 2,500 years ago, Habakkuk has a contemporary message that addresses modern problems. What's that old campfire song that goes, "[Next] verse same as the first, a little bit louder and a whole lot worse"? Maybe it's part of the Minor Prophet training manual. Zephaniah summarizes the preceding prophets and keeps bringing the message of the Day of the Lord. Next to Obadiah, Haggai is the shortest book in the Old Testament, but its brevity does not mean that its message should be ignored. Haggai clearly shows what happens when we disobey God, and what can happen when we turn back to an attitude of obedience. James Montgomery Boice says that Zechariah is one of the most difficult Old Testament books to study. Yet Zechariah's message and ministry should encourage anyone who is trying to do a work for Christ in any age. After the prophet Malachi speaks, there is no word from God. For 400 years. The silence would be deafening. The next time Israel would hear from God? "Behold! The Lamb of God, who takes away the sin of the world," John the Baptist proclaims (John 1:29). 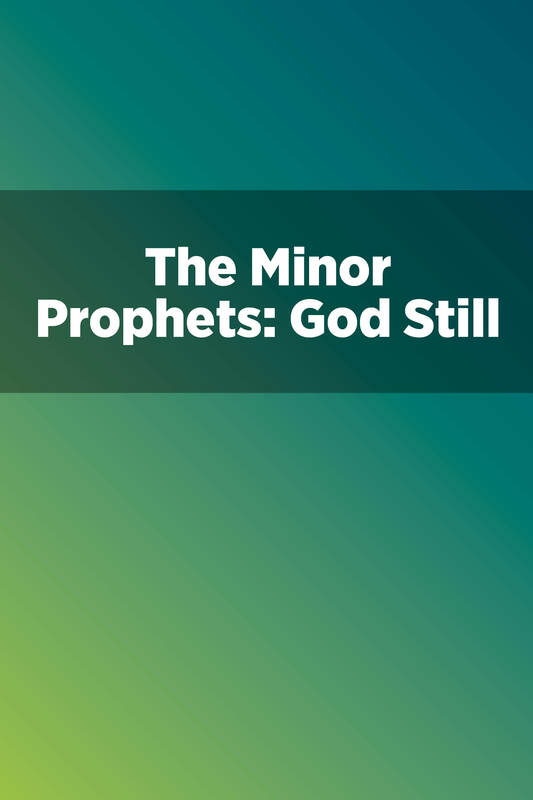 This is the final book in the Old Testament, and it is also the last study in this series on the Minor Prophets. One of the interesting themes that we find woven into the book is a series of statements made by God, and each one is responded to by a question that begins "How … ?" These express a challenge to God's statements, almost demanding that he give an account of himself and his activity.